Staying organized can be tough. Between paper notes, calendars, and technology, it can get pretty complicated to keep daily tasks in the forefront of one’s priorities. 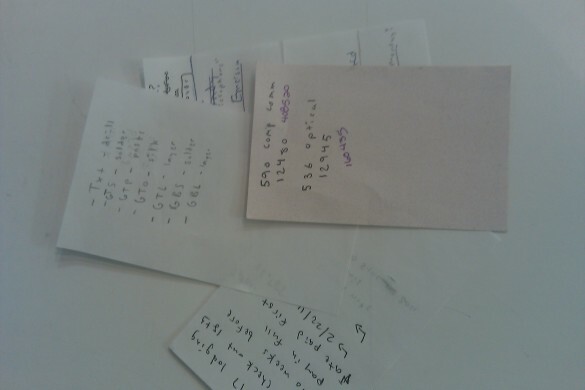 Heck, sometimes a person even needs to organize their organization methods just to keep their wits in place. Now how can Techerator aid you in this prioritizing predicament? First off, I recommend getting a SimpleNote account, a free cloud-based space where you can sync and update any note created on a device. From Windows to Mac to Android to iPhone/iPad/iPod, any note changed or created on these devices becomes automatically updated and stored. Fortunately for us, there are plenty of applications to help us sync these SimpleNote notes and better our lives. So let us take a look at a nice iOS application (an alternative to the official SimpleNote application we previously covered): NoteTask. 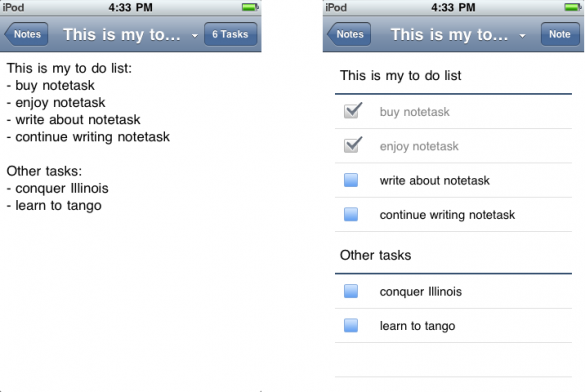 NoteTask, available in the Apple App Store, is an interesting meld. Not only does it allow your SimpleNote notes be downloaded, uploaded, and updated, but it has a special feature that allows notes to be changed into task-like to do lists. As you can see, every time a hyphen is used in a note, NoteTask automatically makes a nice box to check off. If a colon is used, an entirely different section is created in the note for more tasks to be added in. Pretty cool, eh? Futhermore, stickers can be used to tag and sort notes in the main application screen and an underscore before the first words can be used to hide notes. 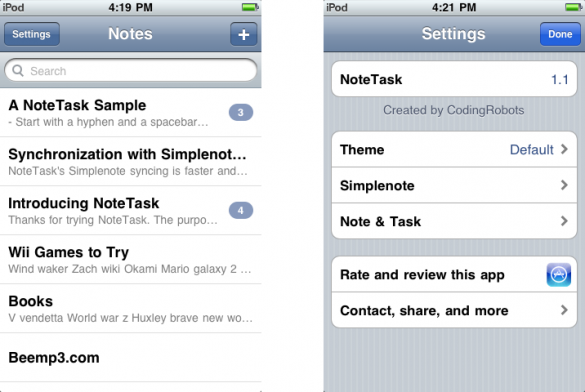 NoteTask works on all Apple devices running iOS 4.0 or greater, and a free, lite version of the application is available for download. Otherwise, for $2.99, all these things and more can be yours. Get those prioritizing shoes on, Apple users. NoteTask is here to help.